Congratulations to the 2017 YCAR Graduate Award Winners! Twelve York graduate students won the York Centre for Asian Research (YCAR) awards for research on Asia or Asian diasporas. Selected through a competitive application process, the YCAR graduate associates who won the awards represent multiple disciplines and areas of research. Find out more about their work below. Amardeep Kaur is a doctoral candidate in the Department of Geography. Her research focuses on South Asian and Sikh diaspora, social and cultural geography, and East Asian cities. Currently, she is working on a project on place-making and translocal spaces among diasporic Sikhs in Hong Kong, Greater Vancouver and Greater Toronto. Kaur earned an Honours Bachelor of Arts in Politics from Trent University and a Masters of Planning in Urban Development from Ryerson University. Conely de Leon is a Doctoral Candidate in Gender, Feminist and Women’s Studies at York University and International Research Fellow of the Center for Women’s Studies at the University of the Philippines Diliman. She received her Master’s of Arts in Sociology and Equity Studies in Education, and Women and Gender Studies at the Ontario Institute for Studies in Education at the University of Toronto. She received her Honours Bachelor of Arts in Women’s Studies and English Language and Literature at Queen’s University. Her doctoral dissertation is based on multi-sited ethnographic research on the politics of care and emotional labour among transnational Filipino migrant networks in Canada, Hong Kong, and the Philippines. 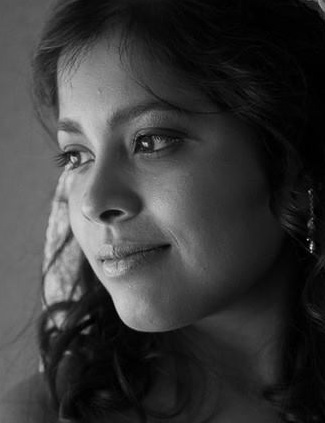 Meghna George is currently completing her PhD in the Department of Anthropology. Her research aims to understand how people negotiate their daily lives through popular avenues of communication. Her doctoral work looks at how sexual minorities engage with popular dating apps and the ways in which this digital medium serves to navigate feelings of intimacy and collective belonging within South Korean society. Thrmiga Sathiyamoorthy is a Masters candidate in Interdisciplinary Studies. Her research interests include the aging experience of older immigrants in Canada. Her Masters’ research uses concept-mapping methods to examine facilitators of social inclusion among Tamil elders’ in the Greater Toronto Area. Sathiyamoorthy holds a Killam Fellowship from Fulbright Canada and is interested in pursuing a career as a clinician scientist. Mohammad Hasan is currently a PhD candidate at Osgoode Hall Law School. His research focuses on environmental justice, Indigenous peoples, and resource extractive industries. His doctoral research will focus on how Indigenous peoples in Bangladesh articulate their claims of environmental justice in resistance to the Phulbari Coal Project. Prior to coming to York University, Hasan completed his MA in Legal Studies from Carleton University and an LLB and LLM from the University of Dhaka. Sangyoo Lee is completing her PhD in the School of Social Work at York University. Hr research areas include multiculturalism and Indigenous-settler solidarity. Her current research focuses on how Canadian multiculturalism generates social exclusion of East Asian immigrant youth in Toronto. Lee also has an MSW from the University of Toronto. Rupinder Minhas is a PhD student in the Department of Geography. Her doctoral research looks at radical social movements and parties, and how the successes and failures of these agencies of change are implicated in capitalist uneven development in West Bengal and Kerala, India. She is currently conducting archival research and interviews with members of political parties. Kimberly Roberts is completing her PhD in the Department of Geography. Her research interests include political ecology and feminist collaborative research methods. She holds a BSc in Environmental Studies and a MSc in Resource Conservation. Her doctoral research examines how rapid political transformations affect access to natural resources in Southeast Asia. Roberts uses political ecology to investigate how informal and formal governance arrangements between state and non-state actors influences access to forest resources. Robin Verrall is a PhD candidate in Political Science at York University. Before returning to academia, he spent eight years teaching in Japan and China. His research interests include the intersection of cultural and national identity in East Asia, and how notions of national identities are produced, reproduced, and contested through both political action and popular culture. His dissertation research looks at the discourses and symbols used by participants of the Sunflower Movement during their occupation of Taiwan’s legislative Yuan from March 18 to April 10, 2014. Sarah Allen is doctoral candidate in the Department of Geography. Her research interests in water governance stems from over five-years working in Vietnam and Thailand on issues of water security and environmental justice. 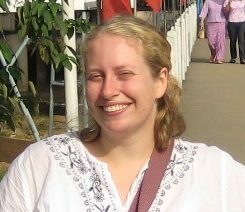 She completed her MA in Global Governance from the University of Waterloo examining transboundary water governance of the Mekong River. Her PhD research uses an urban political ecology and feminist political ecology approach to examining the relationship between urbanization and urban water security in cities of the Mekong Delta in Vietnam. Jillian Fulton is a doctoral candidate in Social Anthropology. Her primary area of research explores sensory anthropology, ethnomusicology, and performance studies through theories of sound and space, nostalgia and memory within Arab-Islamic diaspora collectives of Toronto and Montreal. She completed her M.A. in Ethnomusicology at the University of Alberta, and also holds a B.Mus in piano performance and B.Ed in primary/junior education from Queen’s University. Outside of academia, Fulton actively performs at underground electronic music events in Toronto, and collaborates and plays with Arabic folk musicians. Kyle Gibson is a PhD candidate in the Faculty of Environmental Studies. Prior to coming to York, Kyle received his B.A. and M.A. 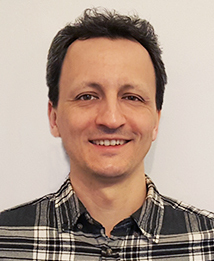 in modern world history from the University of Manitoba, and his current research interests include Marxian approaches to society-nature relations under capitalism, critical development studies, and South Korean history. His dissertation, tentatively entitled Food Regimes, World-Ecology, and the South Korean “Miracle,” deals with the profound socio-ecological transformations experienced on the South Korean peninsula during its industrialization drive (c.1960-1990) through an examination of the role of US food aid in this process.